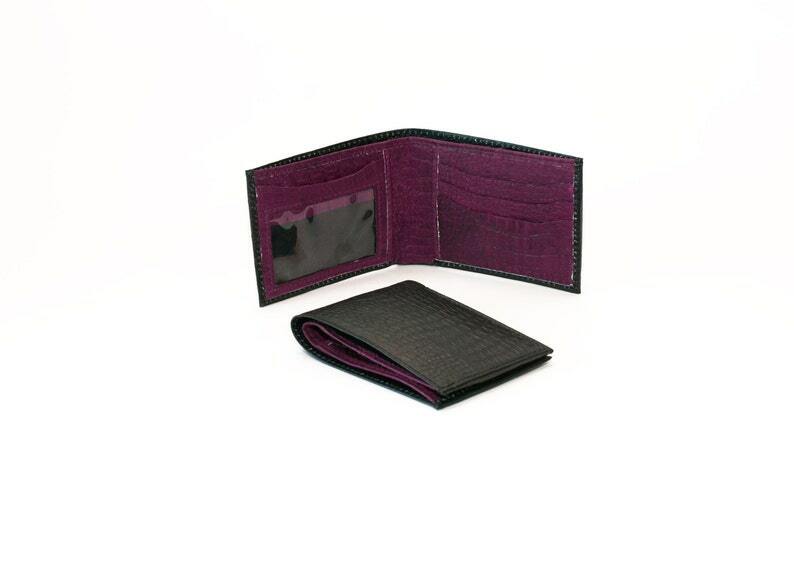 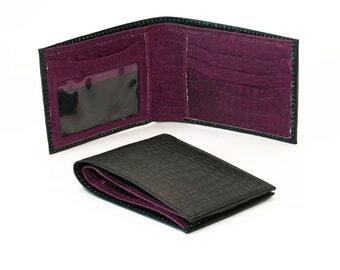 Mens two-tone leather bifold wallet features a solid black leather exterior with a crocodile skin texture and a contrasting dark purple leather interior. 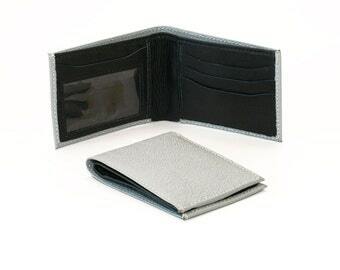 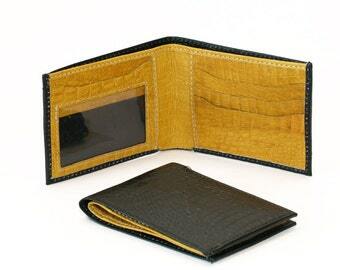 Our quality wallet design offers spacious lined sectioning, ID window, credit card slots, 2 full length bill/cash sections, plus 2 slip pockets. 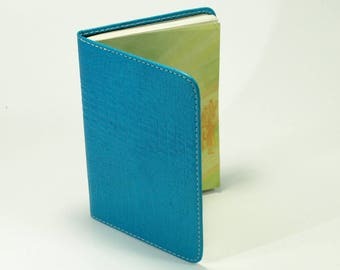 Approximate measurements: 4" W x 3" H x 1/2"
I selected this item based on seeing a similar style and color luxury version, in actual alligator hide, which retails for $1,400.00. 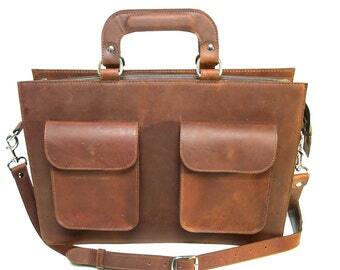 How the pricey one could be any better than the one I now own, I could not venture to guess. 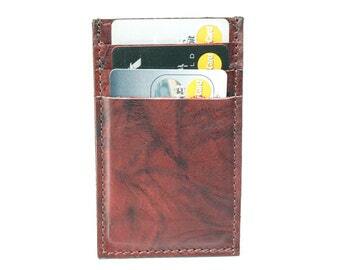 It's beautiful, functional, and the real leather aroma is a bonus. 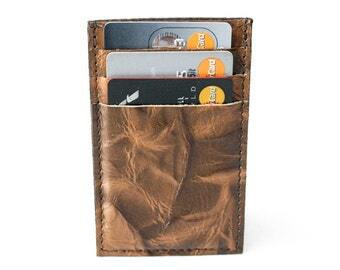 I could not be more satisfied!